March 30-April 3, 2019: Fiddle mini-week! 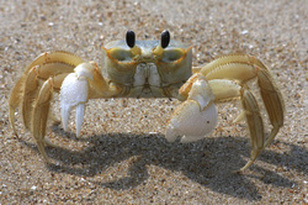 March 29-April 4, 2020: Sandbridge "Relaxed" Week! For first-timers to Sandbridge and those who would like a more relaxed pace. NEW!!! Detailed video lessons for more than 40 tunes and 5 Foundation Skill areas. The Sandbridge Scholarship Fund was born in the fall of 2017 based on the generosity of a former Sandbridge participant, Adie Carlyle. Contributions are tax deductible. Find out more and apply here. For our 14th year (2018), we had 20-23 participants for all four weeks (85 total plus 25 guests) coming from Australia and 26 states in the U.S. including AL, AZ, CA, CO, DC, DE, FL, IL, IN, KY, MA, MD, ME, MI, MO, MS, NC, NM, NY, OH, OR, PA, TN, VA, VT, WA, and WI!! Contact Ken anytime if you are interested. All weeks fill every year! Spend a week in Sandbridge, Virginia at one of three adjacent beach houses overlooking the Atlantic Ocean. It is about a 100 yard walk to dipping your feet in the water! These are beautiful houses. 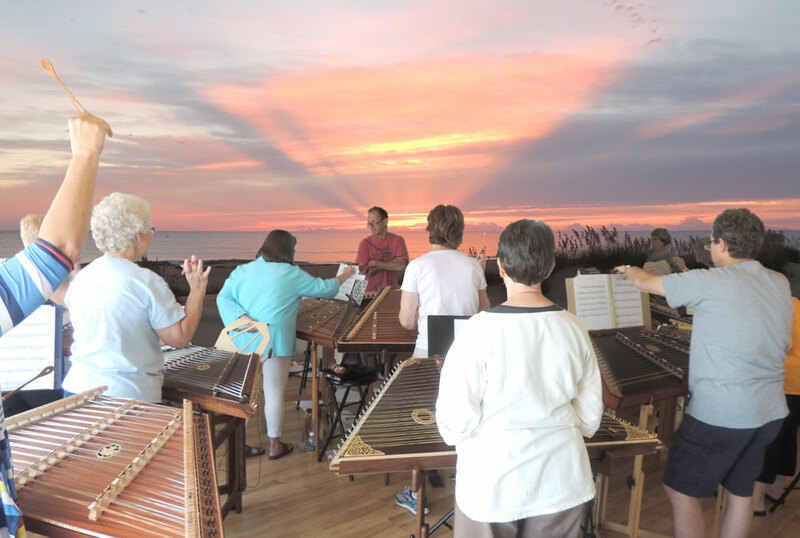 This is an intensive hammered dulcimer workshop in a wonderfully relaxing and supportive environment. Workshop topics and daily schedule will be determined through discussions of participants with Ken prior to the workshop. Likely topics include arranging, accompaniment, application of chord theory, improvisation and much more. Written music for arranged versions for all tunes - with melody, backup and multiple arranging ideas/variations. Lots of beach time! It is typically warm enough to swim in the ocean (fall weeks only). Hot tub, foosball, pool, games! 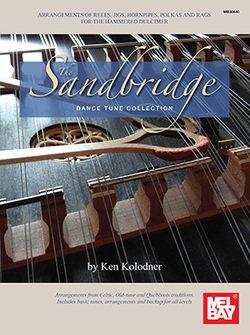 There are four weeks of Sandbridge with three weeks in the fall and "Spring Sandbridge" in early April. The first fall week ("Week #1") is designed to be mostly for a wide range of intermediate level players; the second fall week ("Week #2") is designed to be a higher level, most appropriate for stronger intermediates plus some advanced players; the last week ("week #3") is primarily for advanced players. 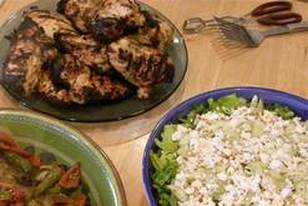 However, there tends to be a mix of levels at each week. Spring Sandbridge is a more inclusive week in terms of level and includes intermediate through advanced players. The level of player tends to be relatively high during all weeks - my experience from teaching at 125-150 festivals is that the level is higher than any festival in the U.S. We strive to move along as fast as possible, without stressing out the participants. Enrollment is limited to 18-21 participants. Music theory can be fun! For both the first and second fall weeks, I am thrilled to have Mary Lynn as my assistant. Mary Lynn ("ML") currently teaches 20+ of my Sandbridge regular attendees via FaceTime and in person. She has been instrumental in raising the level of the weeks through her great understanding of my approach and her undying patience and determination. 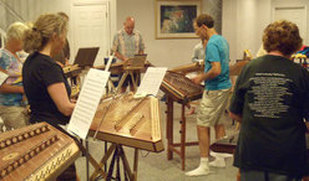 From her home base of Hillsborough, North Carolina, ML maintains 90+ students on hammered dulcimer, piano, flute and French Horn. Trained at the prestigious Eastman School of Music, ML is the principal French Horn player in the Durham Symphony Orchestra. 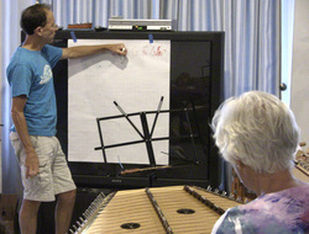 As a hammered dulcimer player of just six years, she has joined Ken Kolodner on stage in concerts in Chicago, Watkins Glen, NY and at The Black Mountain Festival, and has performed at The National Cathedral in DC as a soloist and with Mark Grobner, Jim Plitt and Bob Hubbach on the main stage at "Evart". 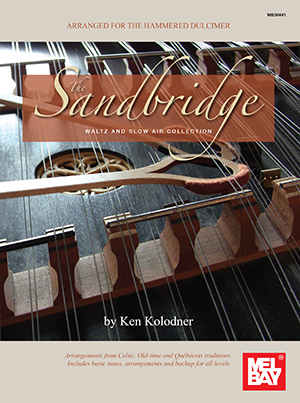 ​In addition to assisting Ken at three of the Sandbridge weeks, she has taught at Evart, The Black Mountain Festival, The Poconos Dulcimer Festival and "Unicoi" and private workshops. Ken evaluates all applicants for acceptance into the workshop. 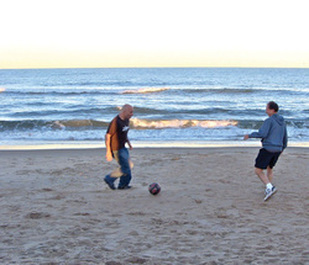 Based on your availability, space in the weeks, and your playing experience, Ken will work with each participant to place you in the best week for you.